If you are an only child, you may be worried about caring for your aging parents alone. But having siblings — one or a few — does not ensure you will have help. The best advice is to prepare early, stay organized, and don’t be afraid to ask for a little help. Marsha takes her parents to all their doctors’ appointments, while Greg helps manage the finances. Jan has a Mahjong group that meets at the house every Wednesday, bringing Alice and Sam the Butcher along for socialization. Peter comes by each week to refill prescriptions in pill boxes, while Cindy and Bobby prepare healthy, home cooked meals to fill the fridge and freezer. All is good at the Brady household. Sadly, this rarely happens with even the largest, or closest, of families. So what happens if you are an only child with no siblings to lean on? How do you do the work of six children while balancing your work, own children, and spouse? Hope is in the planning. A well-prepared plan can make all the difference. Adult children (one or many) tasked with caring for aging parents should always start early whenever possible. Try to sit down with your parents before a crisis and get an understanding of their wishes as they age. You can also collect information now such as where important documents are kept. Open communication can be hard, and parents may not readily discuss certain aspects of their care with their children. If you run into road blocks, or just don’t feel comfortable doing it alone, involve a trusted partner; maybe a sibling of your parents, a pastor, or even their physician. Once one or both parents need help, there are things you can do to make life easier on you while still providing the care your parents need and deserve. Staying organized is key. Break up the activities in which your parent needs help — bill paying, medication management, cleaning, etc. — then pick a specific day or time to work on that issue. By breaking up tasks you make them more manageable. Don’t be afraid to ask for help. There is no shortage of companies offering advice and services for seniors, but that can be overwhelming, so do your homework. Some of the “free” services may have conflicts of interest with your family’s best interest. Look for well-vetted agencies that can offer help, such as theAlzheimer’s Association, American Cancer Society, or go through the United Way. All areas of the country are covered by an Area Agency on Aging and can help link you to trusted services in your area of need. These Area Agencies on Aging are often office based, so they may not be able to help assess your parent’s needs on site. An Aging Life Care ProfessionalTM can also be a valuable resource. These are health and human service professionals who know the health and social systems in the areas they serve. An Aging Life CareProfessionalwill complete a comprehensive assessment of your parent in their living environment and work alongside you to develop a plan of care that takes all factors into account. As an only child, you can help your parents through their Golden Years. 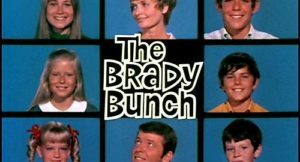 The bottom line is that The Brady Bunch isn’t real and having siblings — one or a few — does not ensure you would have help. The best advice is to prepare early, stay organized, and don’t be afraid to ask for a little help. About the author: Byron Cordes, LCSW, C-ASWCM is recognized as one of the nation’s leading experts in Geriatric Care Management, derived from 25 years in the social work field. He is a past-president of the Aging Life Care Association. Byron is the President of Sage Care Management in San Antonio, Texas and can be reached atbyron@sage-care.com.